How Much Does It Cost To Clone My Dog or Cat? Pet owners are very fortunate today. ViaGen Pets can produce a genetic twin to your beloved cat for $25,000, or your faithful dog for $50,000. One question you may ask is “Why does it cost that much to clone a pet?” The answer is fairly simple. The ViaGen Pets cloning program is an all-inclusive service that covers every aspect of the process. It is the “Cadillac” of animal care and technology development. In order to ensure the highest level of care for donors and recipients, as well as cloned kittens and puppies, we provide state of the art housing, high nutrition diets, expert veterinary care and many other features that enrich the animal’s lives to keep them happy and healthy. Furthermore, the process of cloning cats and dogs is relatively new, so the technology is constantly under improvement. Cloning requires a very unique skill set. In order to provide this service to you, the pet owner, it is imperative that we complete our team with world-wide experts who have been highly trained to provide good outcomes. These scientists require a dedicated laboratory, with very specialized equipment in order to produce the miracle that results in your cloned kitten or puppy. Why Does It Cost More To Clone A Dog Than A Cat? The cost of cloning a dog is twice that of cloning a cat because of the reproductive restrictions in the estrous cycling of a dog. On average, dogs come into heat (estrus) less than twice a year and they are very difficult to alter with hormonal treatment. 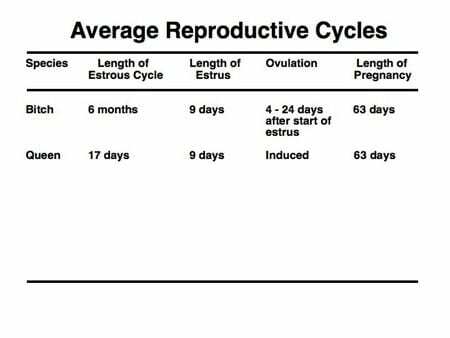 In contrast, a cat cycle (estrous) is much shorter and can be induced so that they come into heat (estrus) multiple times a year. Very little research has been done to understand the unique reproductive cycle of a dog. Therefore, in order to improve the cloning process in dogs and to reduce the cost, ViaGen Pets is diligently researching the dogs’ reproductive cycles to gain a better understanding. We are hopeful that in the future, the cost of cloning your pet will be less than it is today. Through research and refinement of the production process in both cats and dogs, it is our expectation that the cost of cloning your pet will be reduced, without a compromise to our unparalleled animal care and the love we show to the pets in the ViaGen Pets program.